After a stellar year of concerts in 2018, Forest Collective kicks off 2019 with possibly one of its most ambitious projects to date. 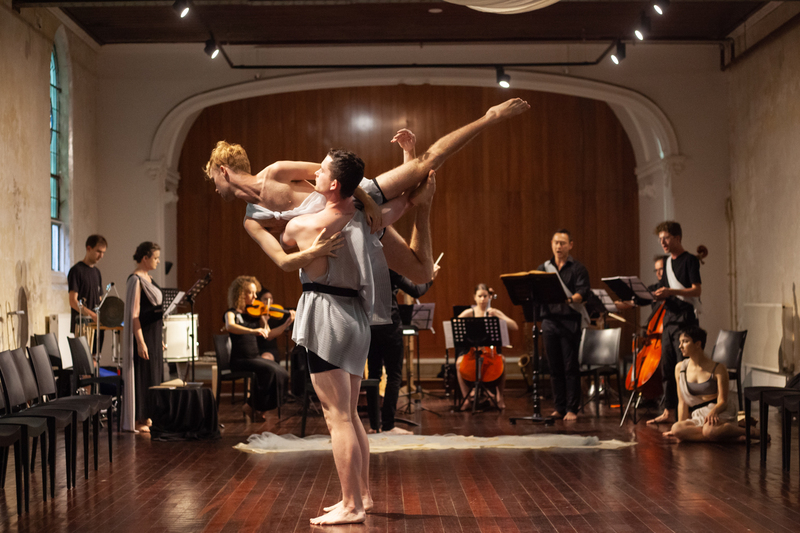 Presented as part of the Midsumma Festival, Orpheus is a new ballet-opera based on the myth of Orpheus, Eurydice and Calaïs. Accompanied by a ten-person orchestra led by Composer and Musical Director Evan Lawson, an opera singer and a dancer pair up to share the three roles, conveying their thoughts and feelings through their individual art form. Once again, Lawson has put together an exemplary group of musicians with a variety of instruments to create a powerful composition that guides the audience through Orpheus' relationships with Eurydice and Calaïs. Lawson also highlights the queerness of this story with his inclusion of lesser-known parts of the myth as he explores Orpheus' love for Calaïs. Told in four parts, the composition clearly distinguishes the episodic sections and with whose perspective we are witnessing the story unfold. In this production, Lawson gives a voice to Eurydice that provides the audience a rare opportunity to acknowledge her response to the circumstances she finds herself in. Core-mezzo soprano Kate Bright captures this with an affecting aria in which you are convinced that Bright is living through these moments as they are being shown to us. Guest artists tenor Raymond Khong and baritone Joseph Ewart display exceptional range in their voices to heighten the emotions of Orpheus and Calaïs. It is with the dancing however, where Orpheus begins to come undone as the dancers are unable to match the virtuosity of the musicians and singers. Orpheus is a tale of love, heartbreak and sorrow but the choreography by Ashley Dougan is too structured and rigid for this to come through. The lack of emotion expressed through the movements and faces of the dancers (Piaera Lauritz, Luke Fryer and Dougan) means the audience can't feel the full impact of what is taking place. There are a number of elements used in Orpheus to tell this story and in order for it work they must all be as skilfully captivating as each other. While the music and the singing excel, it is the dancing, which takes places directly in front of the audience, that prevents this work from fully connecting with audiences.